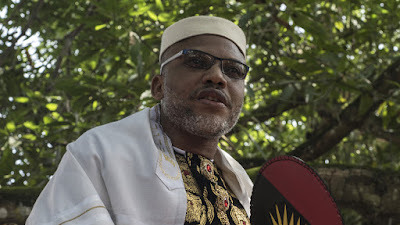 Kanu said this in an interview with newsmen at his Afara-Ukwu, Umuahia country home, on Wednesday, while reacting to President Muhammadu Buhari’s national broadcast on Monday. He, however, said that the group had formed a security outfit, known as `Biafra Security Service’ to checkmate the activities of suspected herdsmen in the South-East. “IPOB is a peaceful mass movement. “There is no record of where people fought or engaged in open altercation in any of IPOB gatherings. He expressed dissatisfaction with the comparison of IPOB to Boko haram, which he described as an “internationally recognized terrorist organisation”. “It is well-known that IPOB has remained a peaceful, non-violent organisation since its formation,’’ Kanu said.